Thick juicy paint, mixed with some gel medium and applied with a palette knife, creates luscious texture and colour. As usual,there are lost and found edges that are present when I use other media… watercolour, pastel, ink, silk watercolour and watercolour. But this impasto work beckons the viewer to touch. Texture plus! 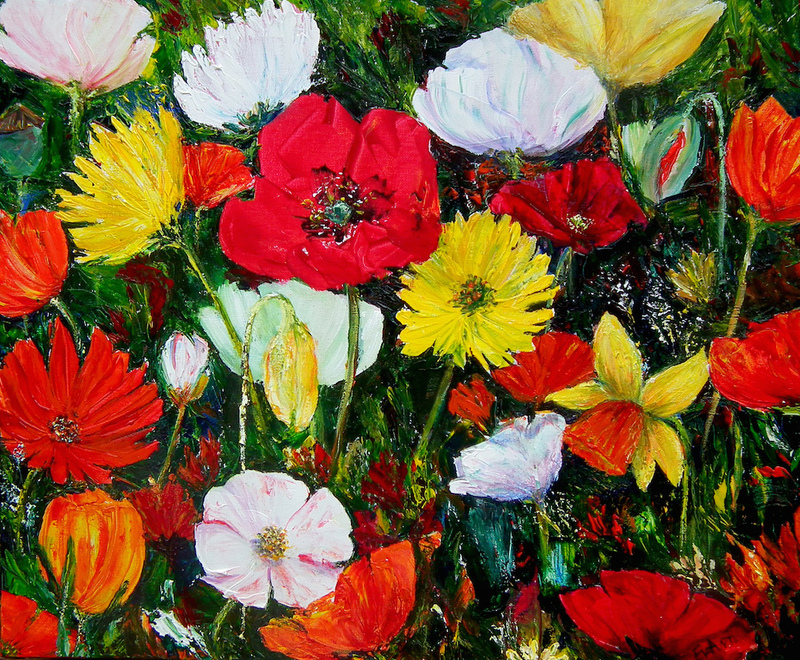 This entry was posted in art, painting, Tasmanian artists and tagged colour, Contemporary art, floral art, garden, impasto, painting acrylics, painting flowers, palette knife painting, works on canvas.